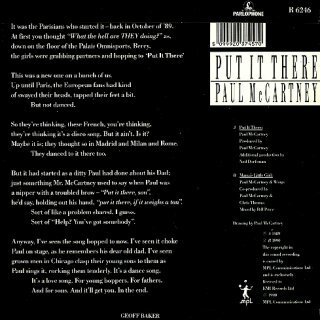 Detail : Paul's forty-fourth single. 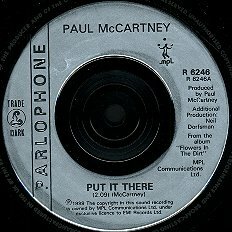 The fourth single to be culled from the "Flowers In The Dirt" album, it comes with a B-side allegedly recorded at the "Back To The Egg" sessions way back in 1978. 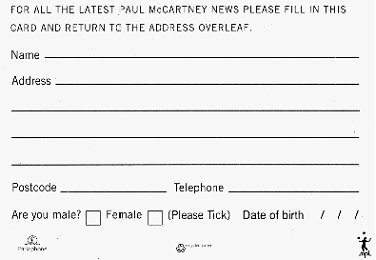 Also enclosed is a pre-paid postcard (pictured below) which allows you to send your details to Paul ! 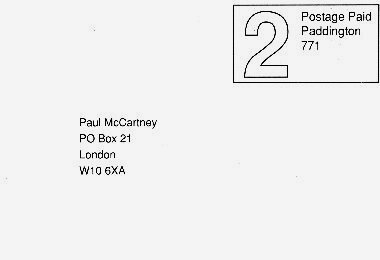 ... as I never filled mine in, nor sent it off, I reckon it probably is quite rare now. The same day a CD single was released, a cassette single, and a 12" containing the same tracks as the 7". Also on the same day another 12" was issued with the same tracks, but added on the B-side, "Same Time Next Year", this was numbered 12 RS 6235. This second 12" also included a bonus free copy of the print as seen on the cover. This is on stiff cardboard and wording advertising this fact was added to the front of the sleeve. This is the copy I have, and you can see the rear of it above. 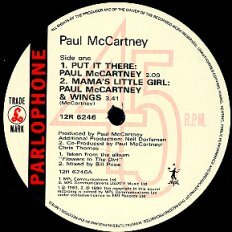 Performing solo, Paul did record a promo video clip for this release on 22nd January which once edited with some father/son type footage, fits in nicely with Geoff Baker's words from the rear of the sleeve. 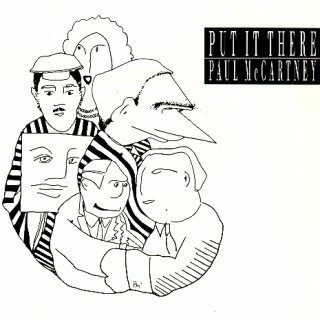 The single was released in a picture sleeve with the drawing on the front (and free insert !) by Paul. 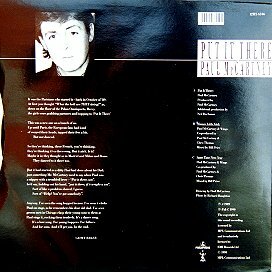 The photo of Paul seen on the 12" was taken by Richard Haughton.